Search engine optimization has certainly gone a long way. From keyword densities to studying Google analytics, it has evolved to become an indispensable process for visibility on the Web today. But whether you’re a novice or a pro, there’s always been ONE sore thumb that sticks out in the industry: Wikipedia. Educators and content marketers don’t approve of linking to it whenever possible. They’re not exactly one of the most credible sources around either. Yet, here they are, 15 years and counting. There’s little question: when it comes to the ultimate SEO success story, Wikipedia tops the list. You can’t argue with great internal link structure, nice long-form content on articles, and user-generated content. In a bid to make their pages gain better footing, some digital marketers even put their own links on some of Wikipedia’s dead citations. But instead of going to the dark side of SEO, acknowledge what Wikipedia is doing right. Learn the 10 best tips and tricks from the encyclopedia itself – and use them to outrank your rivals. SEO Tip #1: Develop trust by providing answers. Now that search engines are a lot smarter, people are more confident to use natural language when typing in queries. That’s why Google sees 15 percent more ambiguous search terms today than in previous years. What sets Wikipedia apart is that it focuses on answers to what people search for on the Web: be it the name of a country or a famous personality. If you want to be an SEO success, focus on the people. Identify what your target market is searching for. Then, align it with your business so you can offer solutions to problems. 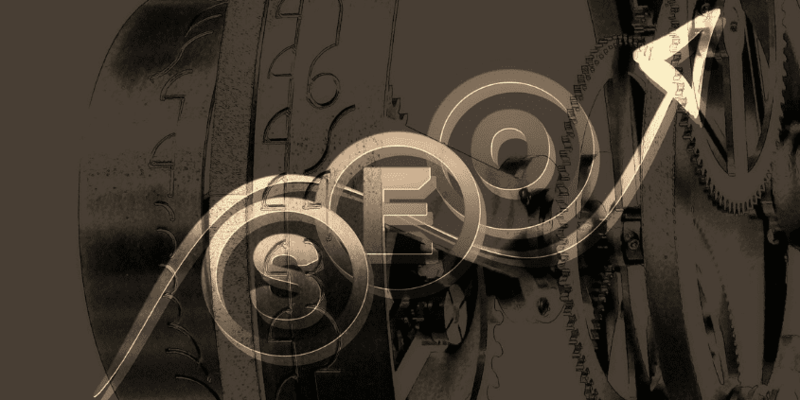 Are you an SEO agency? Deliver answers about SEO, digital marketing, and Google analytics. Are you a restaurant owner? Offer insider tips on the best eats in your local neighborhood. SEO Tip #2: Create consistent quality standards for content. Wikipedia employs high standards of quality control – despite anyone being capable of editing any article. In fact, it is thanks to this organized editorial control that most errors are spotted and corrected – in 5 minutes or less. Sometimes, the revisions are so quick that users can’t detect any changes made. If you want the kind of love that Wikipedia gets from online users, make sure to enforce topnotch standards for your own website or content. Use free online tools to help spot errors. Get skilled people who will double-check content if you can afford it. Don’t expect to rank if the content you provide has been haphazardly put together. SEO Tip #3: Reach out to earn valuable links. Please note the word ‘earn’ – NOT ‘get’. When you earn something, it means you’ve worked hard for it and you clearly deserve it. Link exchanges are not only unethical; they’ve been banned by search engines, like Google. If you want to gain valuable links without guest posting, reaching out to website administrators or bloggers is a good way to do it. Think of it as online PR for your content. Personalize your approach based on the person you’re sending the letter to. Keep it short, sweet, and simple. Make sure that the content you’re bringing to their attention is also relevant to their niche. Director of Content and Search, Peter Attia, has sample letters just for this purpose. Feel free to look it over and see how you can customize them for your intended function. SEO Tip #4: Distribute link juice to other internal pages. Wikipedia is a master at this trick. Their search engine optimization page for example, contains more than 50 links to inner pages that further support the topic (i.e. backlinks, internet marketing, indexing, sitemaps, etc.). Not only do they make the job easier for search engine bots, they also make it quick and easy for people to find out more on the subject. SEO Tip #5: Welcome user-generated content. If there’s one thing Wiki taught SEO experts, it’s to welcome user-generated content with open arms. After all, both sides win. In fact, businesses do this on social media all the time. Brands like Starbucks, Herschel, and Daniel Wellington feature content from fans and followers on their social media accounts. You don’t need to completely rely on UGC to do good SEO. But don’t be afraid of it either. Guest posting opportunities on your blog is a great way to show you value other’s input, while keeping your own standards of quality. SEO Tip #6: Invest in long-form, informative content. This goes hand-in-hand with tip #1. If you’re aiming to provide solutions to your target market, you’ll unconsciously create long, informative content. It’s just natural. But when it comes to content length, there really is NO definite rule. Why? Not all content is created equal – therefore, there are plenty of factors that will affect how long or short your posts will be. First, you need to identify your goals. Aside from being helpful, what else do you want to achieve? Engagement? Clicks? Brand awareness? Next, take a look at your competitors. Are they creating 1,000 or 500-word pieces? If the majority of your rivals are doing great on 600 to 800 words, why go for 2,000? Make content long enough that you don’t miss any crucial bits, but keep it short enough for your audiences’ convenience. SEO Tip #7: Curate reputable sources. This is in conjunction with tip #4 and #6. If you’re creating high-quality content, it’s expected that you’ll have authoritative sources. Let’s take a look at Wikipedia’s search engine optimization example again. Aside from numerous internal links, it also contains 60+ outbound links to credible sources such as Stanford University papers, New York Times articles, and posts from Google’s own blog. They’ve also included pieces from online platforms like Search Engine Land, known to be an authority on the subject of SEO and digital marketing. SEO Tip #8: Take advantage of no-follow linking. Just because you’re targeting a website that employs no-follow links doesn’t mean it’s the end of the world. There have been several observations from experts that no-follow links still matter – as long as they are relevant. If you’re writing on your own blog, use the no-follow tag on links that you want to include but are not sure of authority. If you’re guest posting and you were given a no-follow link, don’t fret! Promote it on your social media accounts and let users decide how helpful your link is. SEO Tip #9: Opt for long, natural language keywords. As mentioned earlier, search engines are becoming smarter. Today, you can use natural language on queries and Google will still understand it well enough to produce related results. Wikipedia entries have plenty of natural language keywords because they’re not thinking about SEO. Follow their lead and write for people first, and search engines second. Ask yourself: what terms will my target market use when looking for information on the Web? Then use that knowledge to your advantage. SEO Tip #10: Limit the ads and self promotion. Wikipedia may need donations – but it doesn’t need advertising. Even novices on the Web know how they can find the free online encyclopedia. Why? Because of the reasons listed above (i.e. answers to questions, natural language, comprehensive content, great internal navigation, etc.). Combining organic and paid methods to achieve high ranking on SERPs. If you’re running PPC ads, work with an expert to meet a certain deadline of when to stop the promotions. After all, you can’t run those ads forever. The final ingredient to outrank your rivals? Time. These SEO tips and tricks should help you maximize your efforts, but you’re still going to need time to assess whether or not your methods have been effective. Remember: Wikipedia also had its share of ups and downs in the years it was improving its services. They didn’t rise to the no. 1 spot overnight. You don’t need to feel like you’re in competition with this free online encyclopedia. Instead, look at it as a shining beacon of hope. That one day, you too, will rise to the SERPs. 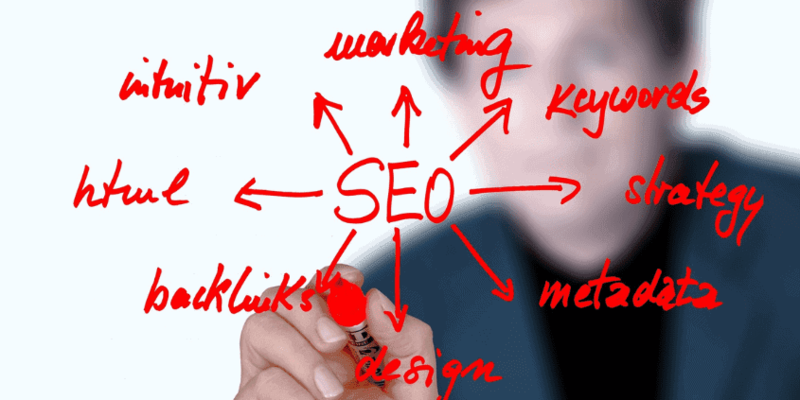 To beat the competitors and reach the leading edge are among the primary objectives of the SEO experts. I am sure that these SEO tips will be a guiding light for those who are starting their way to the world of digital marketing. In this new era of SEO,Content and UX are most important. For off page SEO, Link earning is difficult but plays the most vital role in ranking for your targeted keywords. Wow, really smart and informative article Al. You never seem to run out of excellent ideas! I’m going to try SEO Tip #1 in the next few days. Then I will let you know, if I have success. Thanks a lot! Very interesting insight. Do you have any other sources for me to read further and to be able to dig a little deeper? I really liked your idea to reach out to different admins and bloggers for helping with your SEO. I’m going to have to suggest that to my brother and see what other creative tips we can find so that he can get his SEO done! Thanks for this useful article. Good and balance combination of on page and off page optimization is only a way for top ranking. I am pleased by reading your article about SEO. It’s amazing. Thanks a lot for your valuable article.Useful article that you mentioned.